Stepping up to the barbell for a new PR? Here's your 5-step mental checklist for crushing your one-rep max! 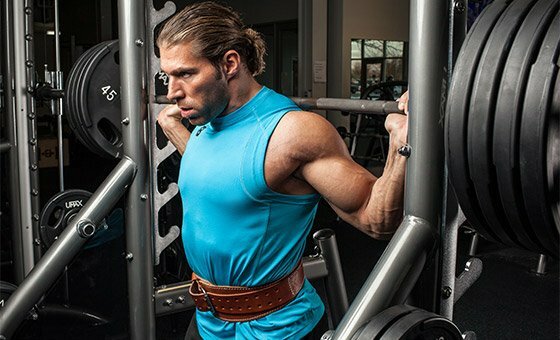 While bodybuilders aren't known necessarily for doing single-rep maxes, your one-rep max (1RM) on key lifts means much more than determining your pecking order among the gym's elite. The 1RM is also useful for directing your future training plans, which makes it essential to occasionally max out on major movements. While knowledge is power when it comes to planning, it also has a heavy influence on strength performance. Despite the high-tension physical strain of lifting—muscles and tendons pulling on bones, human frames overcoming iron and gravity—1RM testing isn't dominated by the physical form. It's actually a carnal demonstration of a robust mental state. When you venture into the territory of testing your physical limits, you're more likely to succeed if you follow a process—a mental checklist of sorts—that prepares your mind to lead your body in battle against metal and inertia. That battle can often be won or lost before you even touch the weight. Follow these five steps to dominate your next max-effort attempt against a massive load of iron. Let's start with visualization, which begins days, weeks, or even months before your body even engages the barbell. My college defensive coordinator drilled visualization into my training habits. Our daily instructions were to visualize successful plays when we woke up and again before we went to bed. On Saturday afternoons, it was as if my team had already played the game because we spent so much time visualizing the outcome. Lifting is no different. Throughout your training cycle, visualize yourself successfully lifting your goal 1RM. In your mind's eye, picture your performance: the weight on the bar, the gym around you ... see your body forcefully defy gravity. As you visualize, feel. Feel yourself strain to move the weight; feel the positive emotion from accomplishing your goal. The goal of visualization is to create the entire environment in your mind so your neurology is accustomed to it at game time. Start visualizing every day—morning, night, and between sets while training—at the beginning of your training cycle. Keep visualizing your success until the moments before you attempt your 1RM. In your mind's eye, picture your performance: the weight on the bar, the gym around you ... see your body forcefully defy gravity. Psychological intensity is the lifeblood of heavy lifting. Moreover, you have the ability to practice controlling said intensity by creating a mental intensity lever. Psychological intensity is the lifeblood of heavy lifting. This practice is rooted in visualization. I can't give you the exact visual—you'll have to create one with your own imagination—but you need a lever and numbers to rate your intensity. Start by imagining an actual lever that, when pulled, increases your concentration and strength. My lever ranges from 1-10, where 10 is maximum intensity. During warm-up sets I systematically crank the lever, working from 5-10. Even though you're not maxing out during a regular training day, you need to get used to feeling what maximal mental output feels like and associate it with your lever. So crank it up to 10 just once during your last warm-up set, drop down to 8 or 9 during most of your working sets, and get to a full 10 again during your last working set. As you approach the bar, close your eyes and picture the lever next to your right hand. Grasp the lever and pull it hard until it reaches your desired intensity. Grab the bar, set your position, and match your performance intensity with your lever intensity. It's abstract, and it seems a bit New Age, but this really works. Build your mental intensity lever and put it into practice right now. When your big-lift game day arrives, you'll find a new intensity level you didn't know you possessed. No matter if you coach yourself or outsource your training process, sound coaching cues are necessary for strong lift performance. Like the previous two checklist entries, coaching cues are engrained in your procedure months before your max attempt. The goal is to make these cues automatic, so conscious thoughts about starting position, lift engagement, and lift completion become unnecessary. However, revisiting cues before approaching the bar for your ode to "human conquest over inanimate iron" is always a good idea. As you practice your final visualization in the moments preceding your lift, remind yourself of your coaching cues for all phases of the lift. Start with your setup and make sure you master the necessary steps for good positioning. Move on to lift engagement: Is your first movement guiding you to your final destination? Are you in good position to lock the weight out? 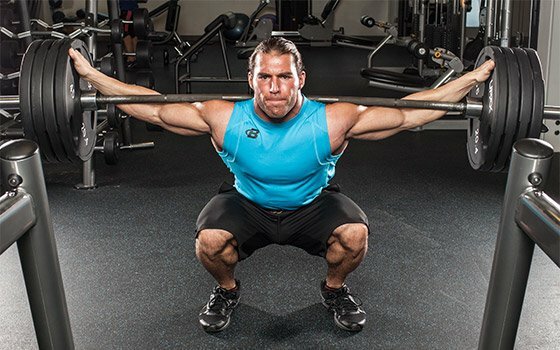 Develop a list of 2-3 cues for each part of the lift and rehearse them religiously before yoking the bar to your will. In 2014, aggression is viewed as an archaic psychological relic, a remnant from centuries gone by, and unnecessary for function in the civilized world. Yet it still hangs about, cultivating land within our psyches. A 1RM attempt is the perfect opportunity to harvest its yield as mental nourishment. Getting angry is a "to each his own" type of process. I can't offer you a step-by-step primer on rousing your inner beast to let loose on a barbell. I can, however, recommend that you find a dark place in your psyche and provoke it. This provocation coincides with ramping up your mental intensity lever. The combination turns aggression into applied performance. Be mindful, however, to not disregard your coaching cues. Blind anger is a hindrance; focused aggression is an enhancement. Blind anger is a hindrance; focused aggression is an enhancement. We've journeyed through mental territories that most training articles detour. We also engaged in processes that most don't consider. Acquiring exciting new skills and perspectives, however, doesn't award us license to disregard the diminutive, seemingly mundane tasks that keep our minds worry-free. Start with procuring a trustworthy spotter. Knowing a person is there to save your skin—should any hazard reveal itself—is priceless for peace of mind. No need to waste mental energy that would be better spent on accelerating mass. Sometimes collecting the little rocks permits us to move the big ones, so be sure to secure sturdy weight clips tightly to your plates, clear your lifting space, and make sure you're not attempting an ego lift. Now, check your list—check it twice if you have to—and go crush your next 1RM.